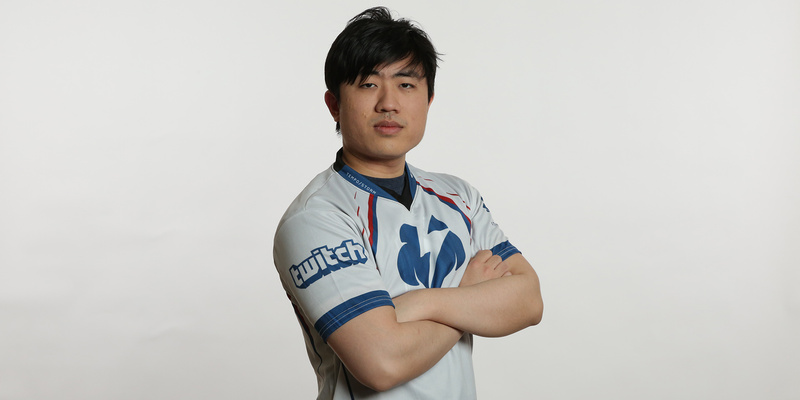 Fan "Fan" Yang is one of the most respected Abathur players in the world, partially because knows exactly how to maximize the effectiveness of the Evolution Master’s kit. On stage at BlizzCon 2015, Fan helped Cloud9 win out over Team DK by pairing his Abathur with Kun "iDream" Fang’s Murky in one of the most memorable series in Heroes Esports history. Now, many patches later, Abathur’s playstyle has changed, and our former World Champion is here to break down his favorite build for this day and age. "As an Abathur player, I think there's always three things to focus on,” said Fan, “The first one is where your body is. Most Abathur players will not utilize their body very well and just sit somewhere safe, but they're not actually soaking any experience. Always be aware of where the body is and make sure it's in a useful place where you can soak." “The second one is just Symbiote (Q), otherwise known as the ‘hat’—hat someone that's going to make good use of it, like a hyper-carry, and make sure you’re using it to catch soak,” Fan explained. “The third one is mine placement. When I play Abathur and I place mines, I always prioritize mining the enemy camps just to get vision of them and know when they're started. I also mine chokes that enemies have to pass through, and then just mining bushes on the map for vision." Abathur is one of the most unique Heroes in the Nexus. Not suited for a proper one-on-one battle, he lurks behind friendly lines, sneaking out of base to only soak experience and occasionally capture a late-game Tribute. While he may look like a slug, Abathur is one of the stronger specialist heroes in the game—constantly manipulating the Battlefield and providing buffs to his allies at critical moments. You. Efficiency hindered. Heal immediately. Fan’s build focuses on Abathur’s Symbiote ability. “The goal of this build is just to basically build as much sustain as possible. It synergizes well with any Heroes that work with Tassadar, because it makes your shield stronger, last longer, and makes it heal over time. It's good with Greymane, Illidan, Tracer, Genji—all these hyper carries that usually require a little bit of extra life or protection to be strong." "You get all the experience that is near your body and then all the experience that is near whatever you're hatting. You also get experience if your locust last hits a minion, or if you take Monstrosity and it last hits a minion." At levels 1 and 4, Fan takes the Carapace (E) talents that empower Abathur’s Hardened Carapace—the shield that Abathur’s hat can give an ally. “The Level 1 talent [Regenerative Microbes] lets the shield heal as long as the shield still exists on a target,” he said. “So long as it's not broken, it heals the target for 68 health every second for four seconds. The Level 4 talent [Sustained Carapace] increases the shielding, making it harder to break. Obviously, that synergizes well with the Level 1 because you want the shield to remain unbroken for the healing. I will always take this at Level 4 if I take the Level 1, because the synergy is so strong between the two talents." At Level 4, we start to see deviations in Abathur’s playstyle, hatting Heroes only for a moment before tending to some other opportunity to further your advantage on the Battlefield. “The Level 4 talent makes the shield last a long time even after you’re done hatting someone,” said Fan, “which means you can quickly hat a person, shield them for the heal from the level 1 talent, and then immediately un-hat them and go back to soaking the lane." Work harder. Better. Make faster. Stronger. At Level 7, Fan takes M.U.L.E., the activatable talent that calls down a drop pod containing a Mobile Utility Lunar Excavator that goes to work on repairing nearby structures. “Mule in general is just a really good talent. It's the only thing in the game that lets you repair structures,” Fan explained. “Mule is good at repairing your front walls and those are all really important as an Abathur, because the more walls that go down the less you can soak on the map safely." Wade "Dreadnaught" Penfold: "If you have a great hat target, you can consider Needlespine. The damage is very underrated, in my opinion. To get value out of the talent though you have to focus a lot on making sure you are using your hat and It's difficult to get a good Ultimate Evolution off if you're spending all your time hatting. Otherwise, M.U.L.E. can do work around the map, especially on Towers or Sky Temple." Healing front walls is essential to survival and keeping a safe space for Abathur to do his bidding. "You can just hide your body right behind the front walls and soak the lane as it comes to you but if that wall goes down you can't be anywhere close to the front of the fort anymore. It helps a lot in kind of maintaining the safety for the Abathur and just in general having the Mule is useful. Sometimes there is half HP forts or people all-in core and don't get it - Mule in general is just very useful." Without having a fifth body on the Battlefield, the early game for Abathur can get a little dicey. “With Abathur, your early game is a little bit weaker,” said Fan. “You want to play kind of conservative until Level 10 just because you're a body down. He does make your early game a little weaker most of the time." At Level 10, Fan takes Ultimate Evolution, allowing Abathur to clone whichever hero he chooses. "It's so cute!" Pajamathur is Fan's favorite Abathur skin. You can add it to your collection for 1,600 shards. “Generally, you want to clone someone right before a fight starts—95% of the time, that's the right play,” Fan said. “When you clone, your body disappears after a short animation. You want to make sure your body is in a safe place when you cast it, because after the clone is gone you don’t want to pop up in an awkward spot. When you need to escape, casting Ultimate Evolution is much faster than digging away—it takes about 1 second to clone someone compared to the 3 seconds it takes to dig somewhere. If they are trying to kill your body, it's much faster to clone someone and buy your teammates time to collapse than it is to dig away. If they can't kill you in one second, then you'll be safe so long as your clone is still alive. " While the most popular trend is to clone the highest-damage-dealing hero on your team, clone targets can vary. It depends on what your composition is lacking, or what it could use more of. For instance, cloning a Rehgar is going to lead to a second round of heals, cloning a Zarya will give a second set of shields, cloning a Samuro will allow for even more Mirror Images, etc. Rounding out his build, Fan takes the Spike Burst (W) talents at levels 13 and 16, adding a slow and a heal to the ability. “Levels 13 and 16 are hat talents,” Fan said. “It's pretty much more of the same as levels 1 and 4, just additional sustain for your hyper carry [Genji, Tracer, Greymane]. The Level 13 talent (Soma Transference) heals whoever you hat for 64 health for every target you hit with your Spiked Burst (W). The Level 16 talent (Envenomed Spikes) just slows anyone you hit with Spiked Burst by 40%." So you’ve buffed Symbiote through and through, creating monsters out of your teammates. At Level 20, you get double the trouble. “Level 20 is Hivemind. It gives you two hats instead of one and since you're taking all hat talents at 1, 4, 13, 16—doubling the effectiveness of it is really strong." Symbiotic Link Established. You Improved. There are two main reasons to pick an Abathur in today’s current meta. 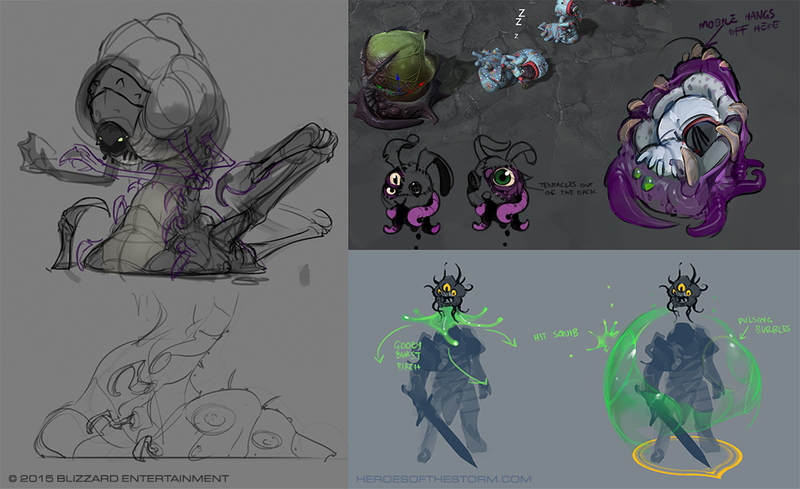 The first is for global presence—Abathur can soak anywhere he wants to soak at any given time thanks to his kit. Due to this strength, he shines brightest on bigger maps such as Cursed Hollow, Warhead Junction, Volskaya Foundry, and Sky Temple. The second reason you would want to Abathur is for clone synergy, assuming you have a hero such as Genji or Greymane on your team. While the hat build is Fan’s go-to at the moment, there are plenty of ways to win with Abathur. "Pretty much all his talents are viable in some game or other, I think he has a ton of viable builds. Sometimes mine build is good, sometimes the Spiked Burst build is good, sometimes even the locust build is good. This is the standard build for me right now, for this patch at least." Make sure to tune into the HGC this weekend to see if Fan and the rest of Tempo Storm utilize Abathur’s talents. You can catch all the action when the broadcast goes live right here at playheroes.com/esports.